It is scratch-resistant, stain-resistant, and is offered in an array of modern colors providing a beautiful and discerning countertop solution for Homeowners, Architects, and Designers alike. It is 99.93% solid and resist stains from coffee, tea, wine, grape juice, food coloring, nail polish and many other agents that permanently stain or ruin more vulnerable countertop surfaces. MSI Quartz has a smooth and impervious surface that is unsuitable for bacteria and microorganism to retreat and grow; making it the perfect choice for families with small children or someone with a compromised immune system. It requires virtually no maintenance, simply install and enjoy for years to come. 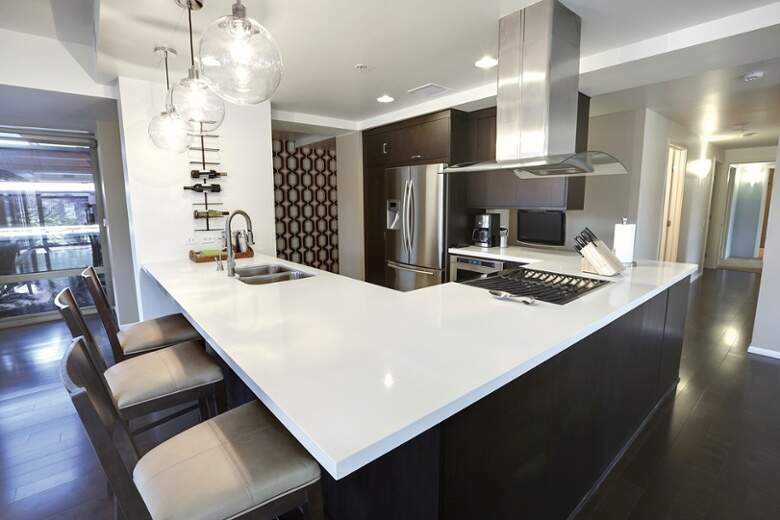 Depending on the color of the slab, quartz kitchen countertops can dull over time when exposed to direct sunlight. Although quartz is heat-resistant, high-heat appliances can damage its finish. So, if you avoid placing high-heat appliances directly on your countertop, you should be ok.
Seams can be visible in quartz kitchen countertops if not installed properly, but they are less apparent in patterned slabs. If you are looking at solid color quartz, make sure you get a reputable quartz installer countertop. Granite kitchen countertops are all natural. Quarries contain different variations of quartz, feldspar, and mica which creates the iconic granite “look”. Every granite countertop is unique. Because granite is taken directly from the earth, it does not have a uniform appearance and no one will ever have the same countertop as you. 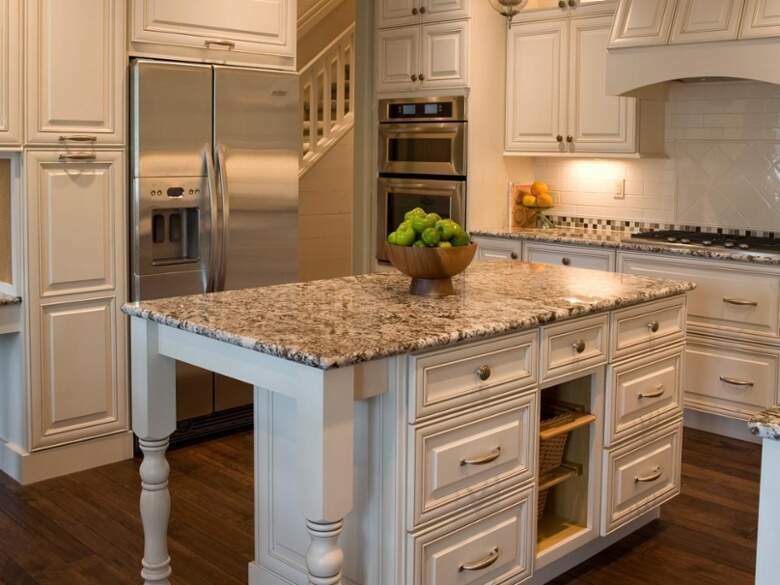 Granite is extremely durable and resistant to heat and scratches. Granite is not as strong as quartz. Because granite is a crystalline structure, if subjected to sharp objects at high impact, it can suffer chips and fractures. Without the proper long-term care, Granite can be susceptible to staining and harboring bacteria. Are you interested in MSI Quartz or Granite for your next home improvement project? Check out our specials pages to see our latest, money-saving options for MSI Quartz and Granite. With our extensive knowledge and supply of stone varieties, we can help you achieve the perfect balance of beauty and functionality in your new space. Get started today! Granite Countertops Chicago.